i had grand plans for fair food! turns out, my stomach can only hold so much food. alas. 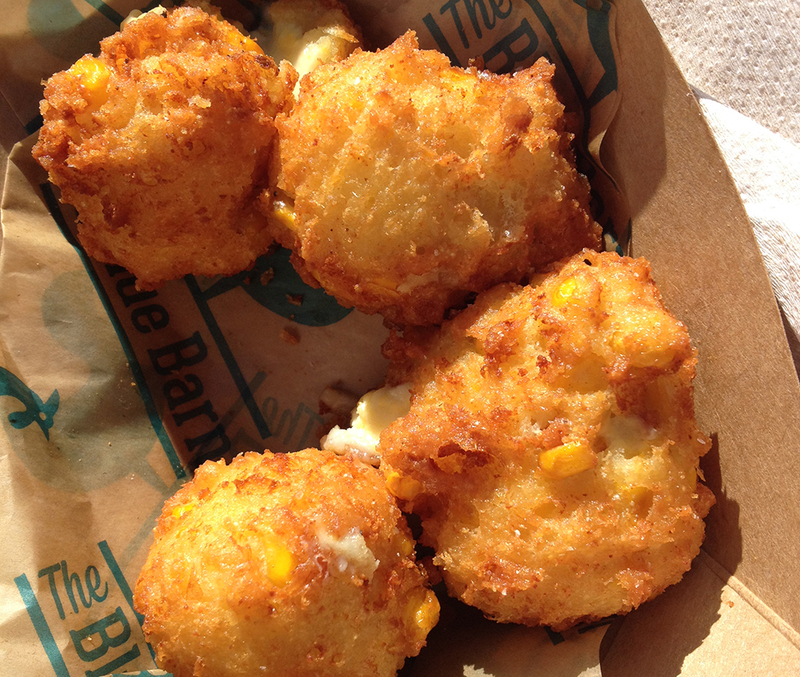 first stop: the blue barn for blue cheese fritters with chimichurri sauce. DELISH. this was my top choice of the day (although it could’ve had something to do with me not eating for 14 hours). the blue barn also had some other appetizing looking food, like the chicken in a waffle and pierogies, but i was on a mission. second: minneapple pie. i’d seen this stand all over the place and decided it was time to finally just stop and get something there. i did not get the apple pie; i opted for the pumpkin with a scoop of vanilla ice cream. it was pretty good, but not roll-on-the-floor with drool running out my mouth in awesomeness. maybe if it were right out of the fryer? maybe if it were october? who knows. third: the shrimp dog. i had SUCH HIGH HOPES for this guy. i really did. unfortunately it was such a dud. the shrimp was there, but you couldn’t tell it was shrimp by looking at it. 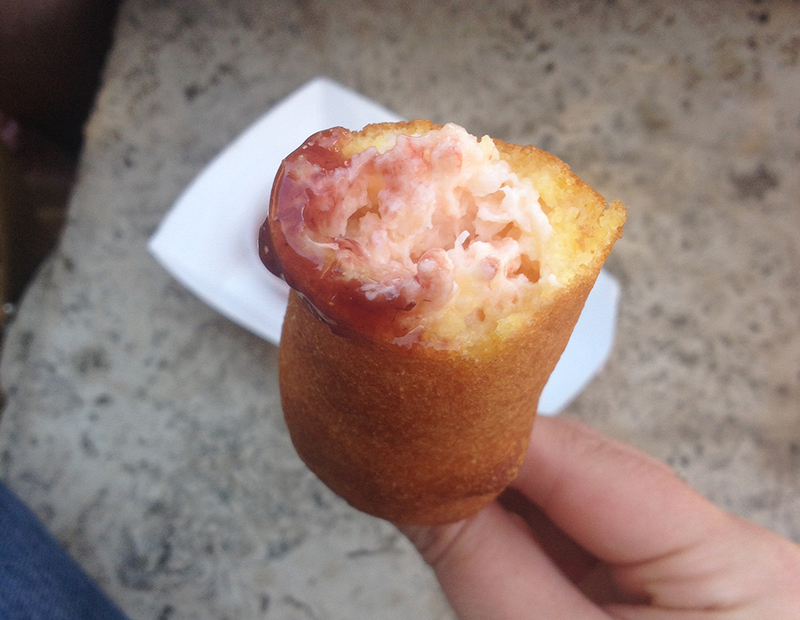 it was dipped in corn dog batter, which made for a beyond weird combination. then, to top it off, i got a piece of shrimp shell in a bite. time for a stop in the food building, which was CHAOS. nate was having agorophobic convulsions. 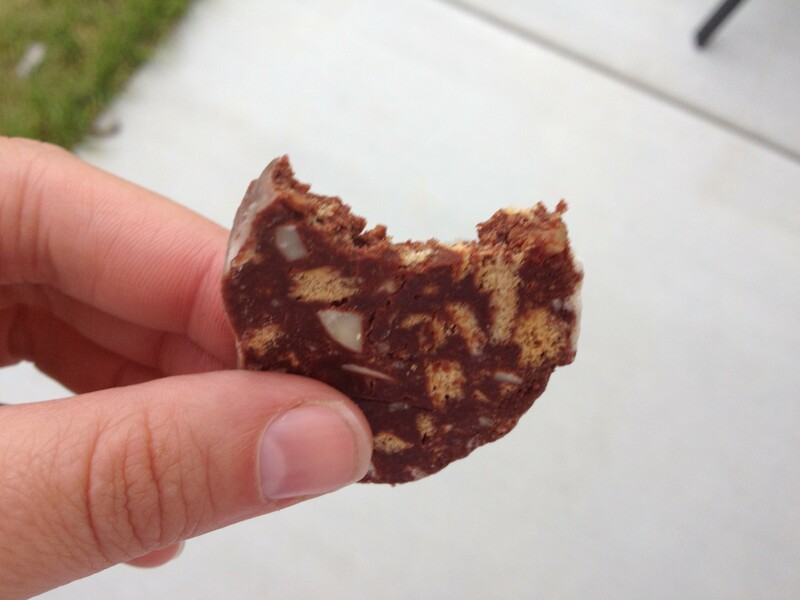 but we made our way over to the chocolate salami, a mix of chocolate, nuts, graham crackers, orange flavor, and rolled in powdered sugar. it tasted like a crunchy chocolate orange. it was pretty good, but nothing i’d go back for. 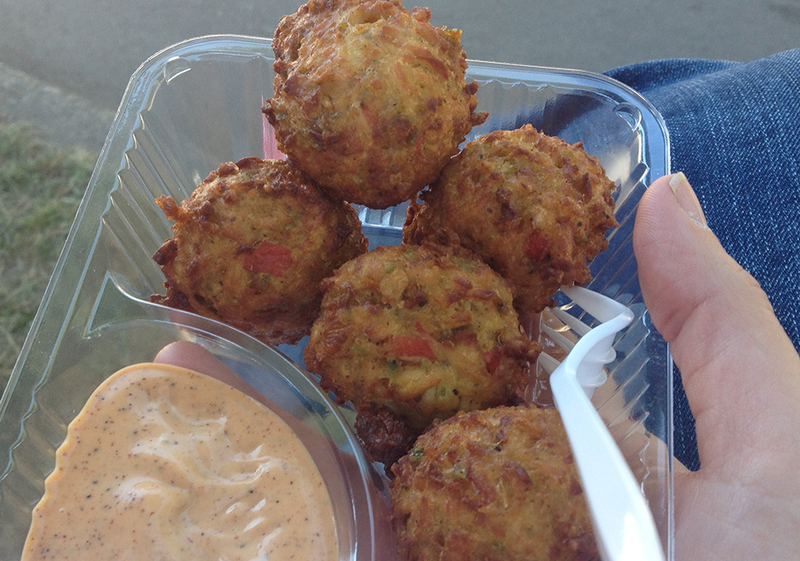 fourth stop: crab fritters. my former landlord runs concessions through the summer, and this was from his stand. last year we stopped and they were delicious. i don’t know if they changed the recipe this summer or what, but it just wasn’t the same level of deliciousness as it was last year. still good! ugh; i was getting full at this point. but i soldiered on. next up was the pretzel curds at o’gara’s. i actually think it was a beer-batter version of crushed pretzels, but it was pretty good. 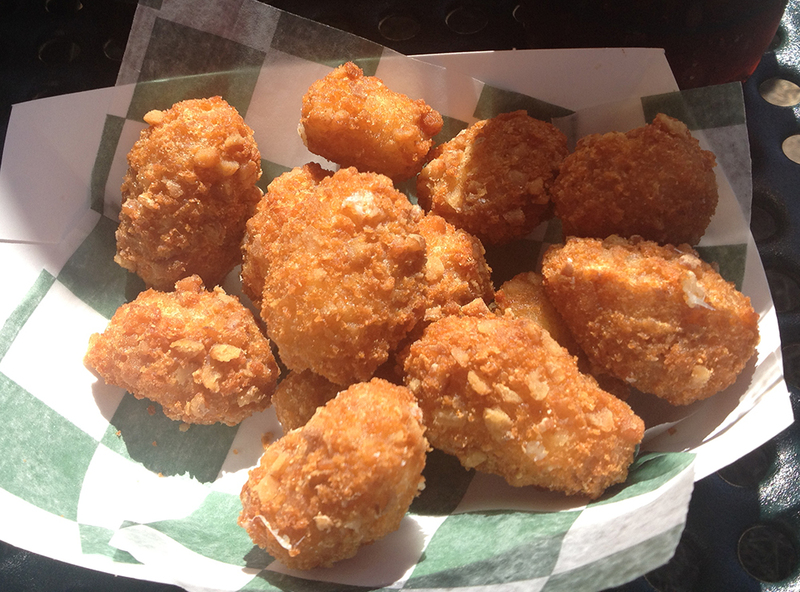 i wouldn’t put them in the same ballpark as regular cheese curds, but i’d eat them when no other curds are present. 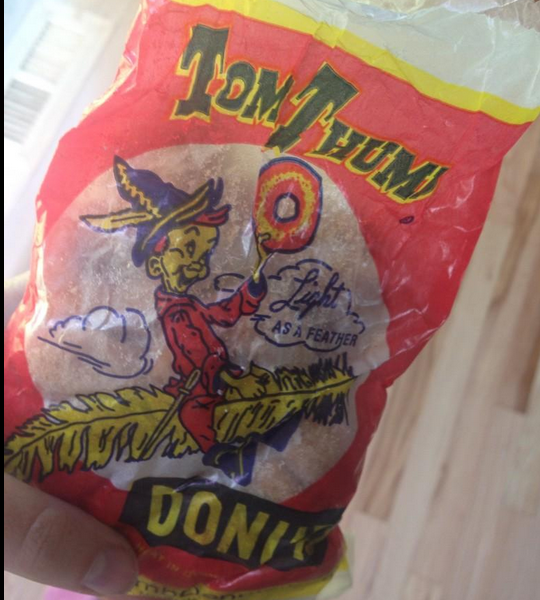 my second-to-last stop was to pick up some tom thumb mini donuts for the ride home or later on that evening. because even 2-hour-old minidonuts are still the most delicious thing ever. and way better than NO donuts. 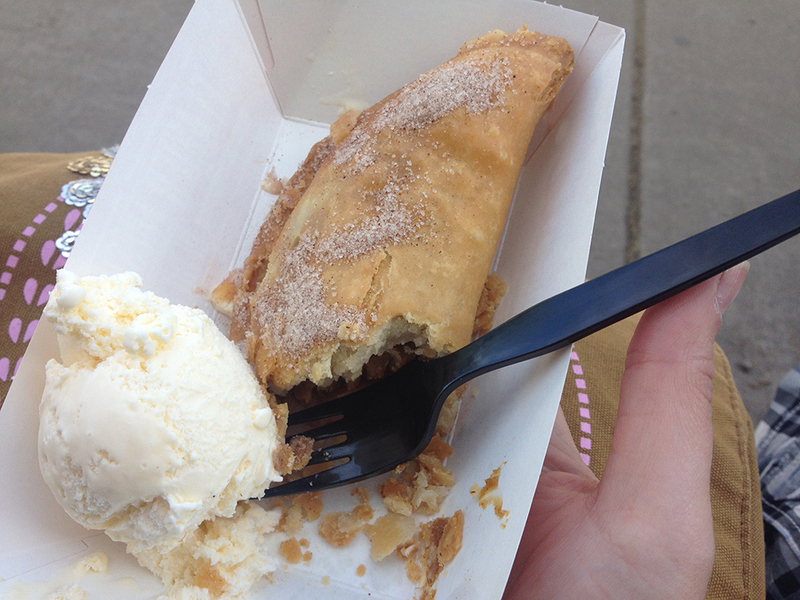 my last mouth-watering item to get before leaving the fair was my old tried-and-true: the deep-fried milky way. this is the reason i forgo my corn syrup boycott when i enter those fairgrounds. it is so delicious! 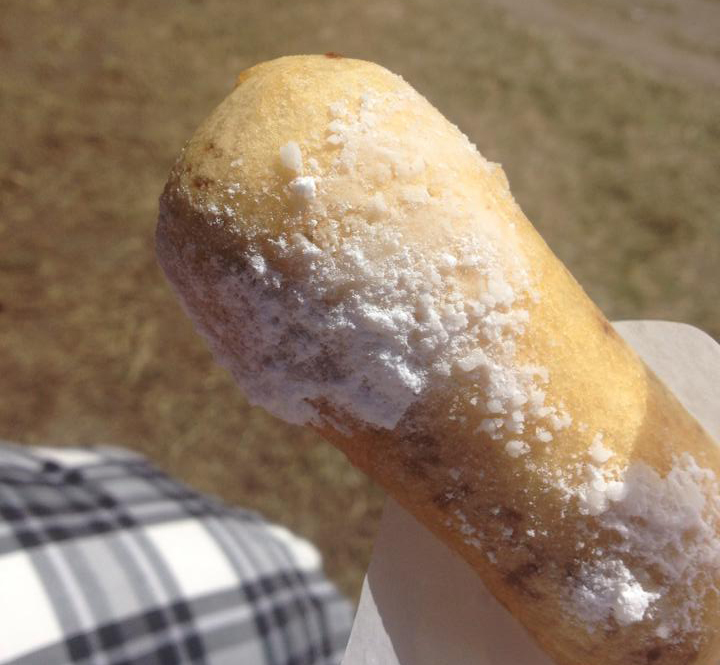 i think i need to go back for round two of fair food. i can see where living in the area would be beneficial so you could do round one in the morning, go home and nap/digest, then head back later in the evening for round two. unfortunately for fair time, i live almost two hours away. what have we learned? blue barn wins the day. go there if you go anywhere.